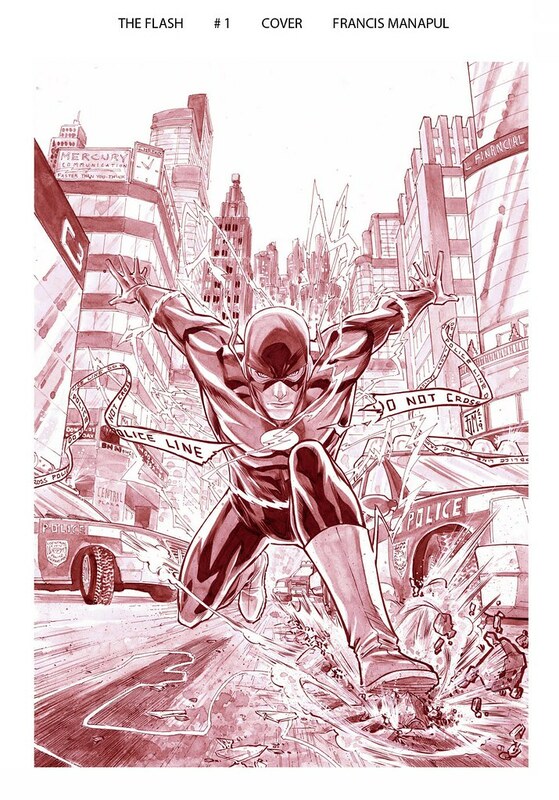 Francis Manapul's work on the Flash has been revolutionary. He is a great, fresh young talent with lots of enthusiasm for my favorite DC hero. If you've been reading The Flash or Manapul's work on Superboy, you can tell that he doesn't have an inker. I kept wondering why the finished product looks so good without one. If you look at these pre-colored pages from Manapul's site, it gives you some insight. The above illustration is from Flash #4. How many times have we seen Barry Allen run up the side of a building? 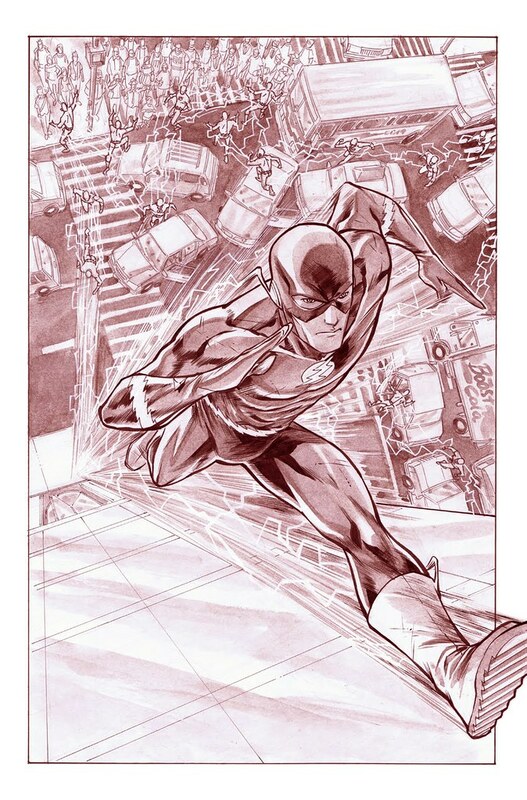 Manapul's approach to this is refreshing, because of the perspective looking downward. We see the cars, people, and after-images of the Flash on the street below. The detail and shading are amazing. Here's a look at the first issue cover. Aren't the streets in Central and Keystone City all torn to shreds because of the Speedsters? wouldn't mind being a special edition issue with all the original pages in this format. Does Manapul draw everything on paper or on a tablet, or some hybrid method? Comic Book Resources featured this tour of Manapul's studio. I'd love to be a fly on the wall. Nuff Said!